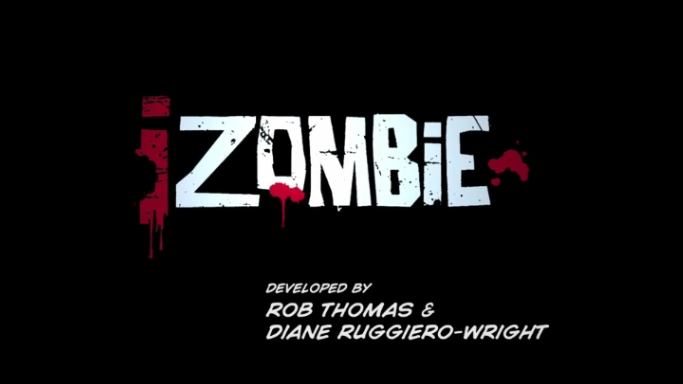 iZombie is a paranormal drama that airs on The CW. A rosy-cheeked, disciplined, over-achieving medical resident who had her life path completely mapped out… until the night she attended a party that unexpectedly turned into a zombie feeding frenzy. As one of the newly undead, Liv has devised a way to resist her baser urges to devour fresh human brains – she’s taken a job in the Seattle coroner’s office. In this appropriately dead-end job, she can secretly snack on the brains of the many Jane and John Doe corpses that make a final stop in the morgue. Liv remains resigned to an eternity without hope or purpose, until she realizes that with every brain she consumes, she retains a portion of that person’s memories, and she begins to experience visions from the point of view of the murder victims. It’s not the same as being alive again, but at least she can find purpose in her undead existence by helping to solve the murders of those who are indeed fully dead. This page was last modified on 17 February 2019, at 18:55.